In Libertarians For Transparent Government v. Ocean County Prosecutor’s Office, the Appellate Division held that the state’s Open Public Records Act (OPRA) does not require a covered entity to provide a detailed disclosure of the reasons for an employee’s resignation. [Doe]’s “date of separation and the reason therefor” as required by [N.J.S.A.] 47:1A-10. Any memorandum, letter, e-mail or other writing that advised [Doe] that he would suffer adverse employment action if he did not resign. Records that disclose the reason, such as the nature of [Doe]s’ misconduct, underlying your agency’s decision to seek [Doe]’s resignation. The OCPO’s records custodian responded to the second OPRA request in a letter stating he reviewed Doe’s personnel file and it did not contain any additional documents concerning the reason for Doe’s resignation and the OCPO did not enter into an agreement with Doe concerning his separation from employment. The records custodian further asserted that the OCPO was not obligated “to generate new documents or otherwise supply information other than what it is in its existing records,” and that the OCPO was not required to create a record or supply information characterizing Doe’s resignation as voluntary or otherwise as plaintiff requested. The plaintiff subsequently filed a verified complaint and order to show cause alleging the OCPO and its records custodian violated OPRA by failing to provide the reasons for Doe’s separation from the OCPO. The trial court rejected plaintiff’s assertion that it was entitled to a more detailed statement of the reason for Doe’s separation. The judge found the OCPO provided the records responsive to the OPRA requests and satisfied OPRA’s requirements. The judge further determined the OCPO was not obligated to create a record showing a more specific reason for Doe’s separation than the one contained in the record provided. The Appellate Division affirmed the trial court’s order finding that the OCPO did not violate OPRA by providing a memorandum to Doe’s personnel file noting the effective date of his resignation. However, the appeals court vacated the order to the extent it included a finding that the OCPO conducted the required search for the requested records, and remanded for further proceedings. Although we are mindful that under OPRA any limitation on the right of access shall be construed in favor of the public’s right to access, we are convinced the plain language of the first exception does not support plaintiff’s assertion that the Ocean County Prosecutor’s Office was obligated to provide information concerning the circumstances surrounding Doe’s decision to resign or his motivation for doing so. 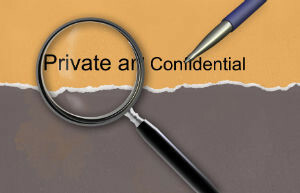 The Appellate Division did side with the plaintiff regarding the scope of the record custodian’s document search. The court held that responsive documents to the OPRA request should not be limited to documents in Doe’s personnel file. “We discern no permissible reason the OCPO limited its search for the requested records to Doe’s personnel file, and perceive no justification for it,” the court wrote. Accordingly, the panel remanded for the prosecutor’s office to conduct “a reasonable and thorough search of its agency records” for additional documents responsive to the plaintiff’s request. It also ordered the OCPO to produce an affidavit documenting its records search. For more information about the court’s OPRA decision or the legal issues involved, we encourage you to contact a member of Scarinci Hollenbeck’s Government Law Group.